There is too much cheese in it - said no one ever. 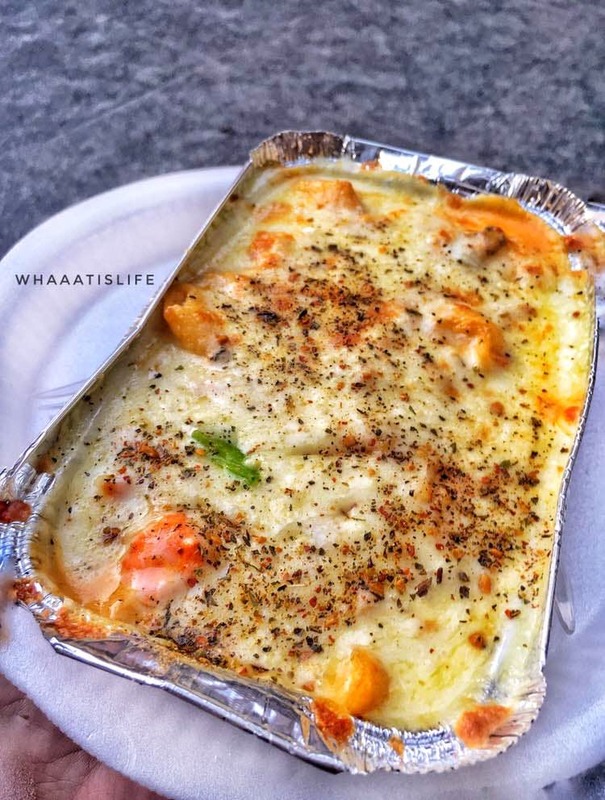 If you are someone who loves cheese, just like I do then Hot Spot's baked pasta is the just the right thing for you. Though it looks like a lasagna, this pasta is baked to perfection and comes loaded with cheese. 😍 Apart from this delicious treat, this eatery offers a wide range of pizzas, sandwiches, maggi, shakes, pasta, and lots more. Also, the prices are very pocket-friendly so you can go out with your squad and have a good time. Sometimes it gets too hot to eat out in the open, so try visiting in the evening as they don't have any seating space.